Our aim is to prevent the destruction of forests, which are a resource and fundament for human life on earth, by research for renewable energies, education and social projects. For almost 20 years we have been fighting for the preservation of Africa’s dry broadleaf forests, protecting the climate and securing an important livelihood of the population. We do not just plant a tree – we make climate forest for the future of all people including our children. You want to participate? 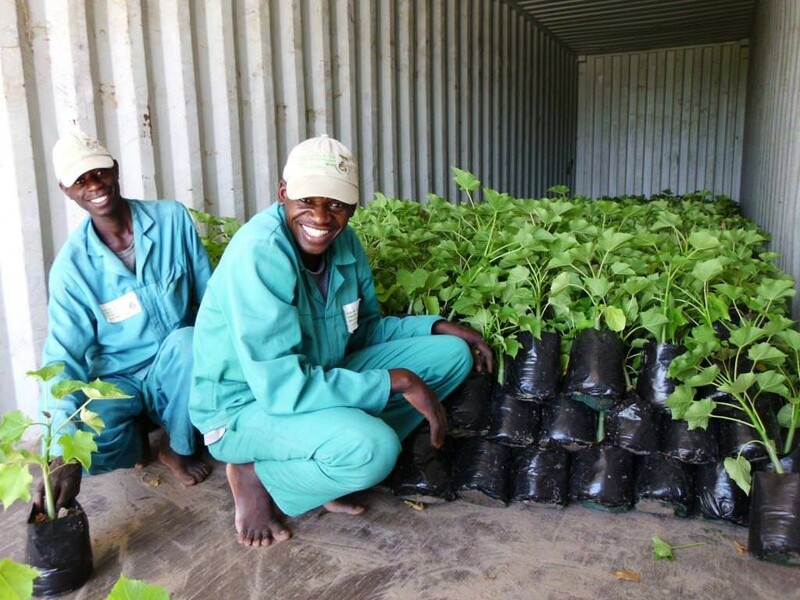 Plant and foster a tree with us in Africa and support our social project, the Johannis-Kindergarten in Namibia at the same time. With their social projects, the environmental organization Bäume für Menschen – Trees for the World® help people & nature. As a recognized nongovernmental organization (NGO), we have been active in the international aid for Africa since 1996, Our NGO is globally oriented and meets the DZI transparency standard guidelines. Do you have any questions or want to get more information? Just contact us! Offer a real peace of nature! has to be conserved at any cost. Our global projects protect trees, that are a source of life for all of us, the climate and many animal and plant species. We create jobs, apprenticeship training positions and school opportunities. Help us! What is so important about the arboretum in Namibia? The arboretum in Namibia is a collection of indigenous woods in danger of extinction. Many of the rare trees, shrubs and plants are in real danger, and with our projects, we try to conserve them for future generations. Those who visit our arboretum can study the diversity of a formerly thick dry broadleaf forest on a nature trail. Especially in times of climate change our forests are an important fundament for the biodiversity and a healthy environment. They guarantee clean phreatic water and quality soil, are home to many animals and plants, they are a carbon dioxide sink essential for survival and they represent the livelihood for the local rural population. The pay-in slip of a donation up to 50 € is equivalent to a tax deductible contribution receipt if your donation is declared as such. malaria before their 5th birthday.